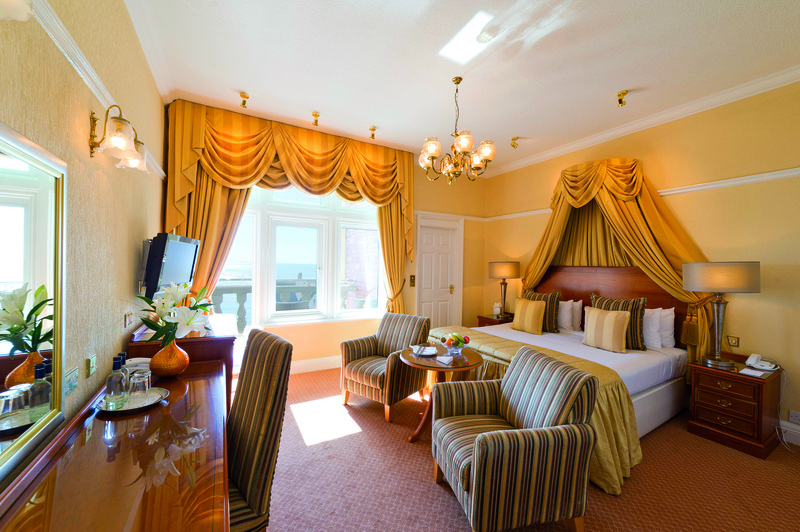 Room Only from £59 per person, per night. 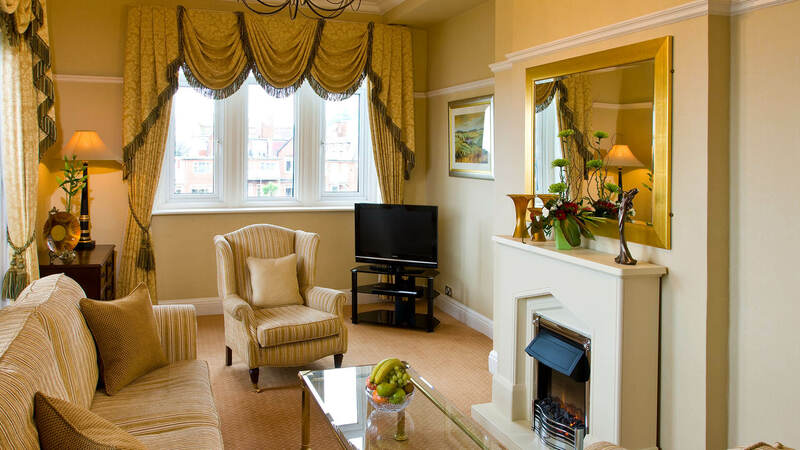 Steal yourself away to Sidmouth for a last-minute escape. We have an indoor heated swimming pool, and fantastic leisure facilities, including a bubbling spa bath, sauna and heated stone beds. 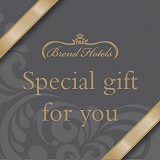 Not to mention, luxury accommodation and our award-winning dining. Stay Tip: Plus all guests enjoy 25% off green fees at Sidmouth Golf Club and an 18-hole putting green overlooking the beautiful Sidmouth coast. (The above rates are based on two people sharing a Standard Double Room, and are inclusive of the terms stated. Use code "Late” when booking online below or quote when calling us on 01395 512651. For Single Room late availability rates & upgrades, please call us directly on the number above. While they do not have direct sea views, they do have pretty views across our grounds and the charming Regency town of Sidmouth. 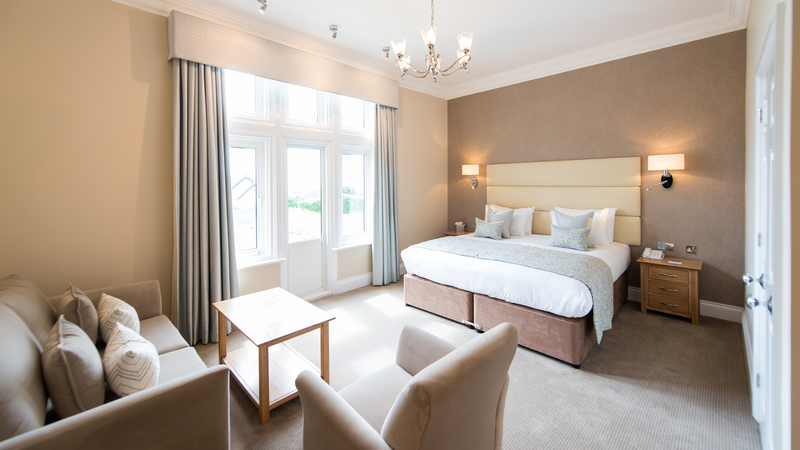 Although these rooms are slightly smaller than our Superior Rooms, they are all beautifully finished and benefit from direct sea views across the glorious setting of Lyme Bay. 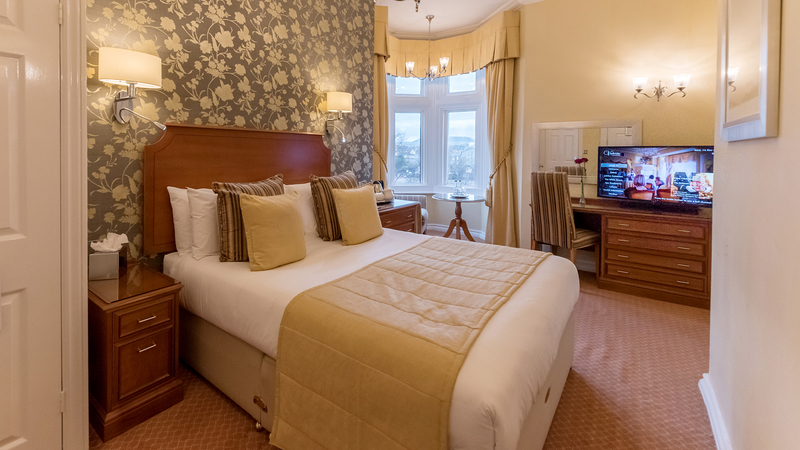 After a busy day exploring the sights and sounds of Devon, our Sea View Rooms are the perfect oasis where you can relax and unwind. 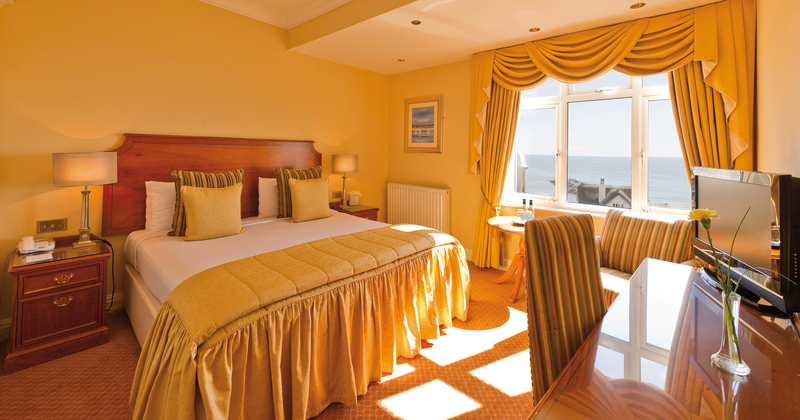 The bright, warm decor of these stylish luxury rooms makes the most of the beautiful light that reflects off the sea. 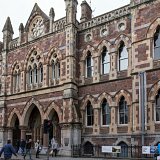 Here you will find everything you could want for your perfect Devon holiday. These are bright and airy rooms with plenty of space and light. All of our Deluxe Rooms have gleaming en suite bathrooms, most have direct sea views and some have their own private balcony. There is a Mini Bar for your convenience. 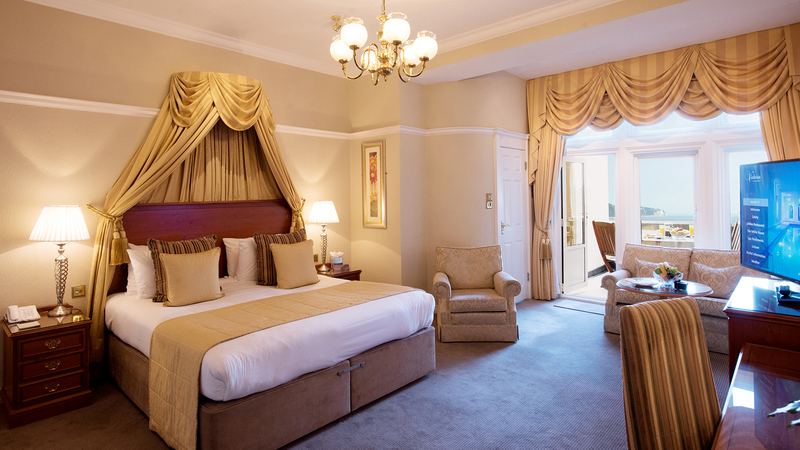 Our State Rooms simply ooze style and comfort, from the extra wide six foot double bed and the cosy armchairs, to the tasteful lighting and soft furnishings. And the icing on the cake is that amazing panoramic view of Lyme Bay, which you can enjoy from your own private balcony! Discover the sheer indulgence of opulent suites that will make you feel like royalty. 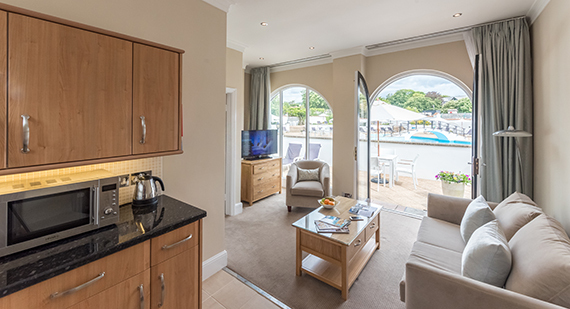 Overlooking Lyme Bay, the Luxury Suites are all different, yet each offer spacious accommodation that is the ultimate in style. The three Poolside Suites offer fabulous family holiday accommodation within the outdoor pool complex. Comfortable for two adults and two children, the Poolside Suites have a separate living area and a small kitchen area, for added independence for your family. 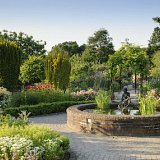 Magnificent gardens which are Grade 1 listed and span 300 years of horticultural history, nestling in a spectacular setting in the Otter Valley and open all year round. Located in central Exeter close to Sidmouth. It was voted Museum of the Year 2012 and is home to an amazingly diverse collection. 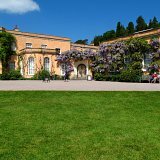 Killerton House, built between 1778-9, brings to life generations of the Aclands, one of Devon's oldest families. Visit to see the house, learn the families history and walk the landscaped gardens.